No Homelab is complete without a state-of-the-art Identity and Policy Engine. Of course there is an official install guide available here which is written for supported Environment ect., but there are always us, the odd few who travels a different path and want to install it on an Intel NUC based homelab. 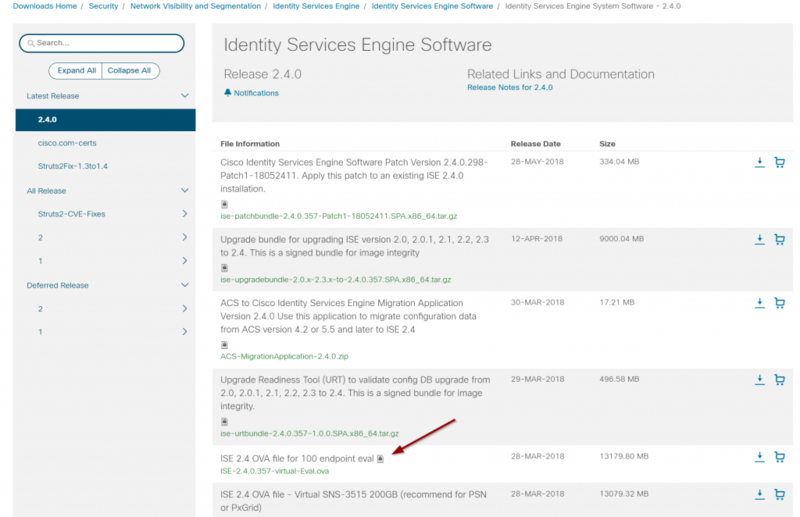 At the time of writing the latest and greatest ISE is 2.4, which can be obtained from cisco.com. For homelab situations I’m going with the 100 Endpoints eval version. If you after downloading the .ova tries to apply it to an standalone ESXi host, you are in for a disappointment, as this yields an error. 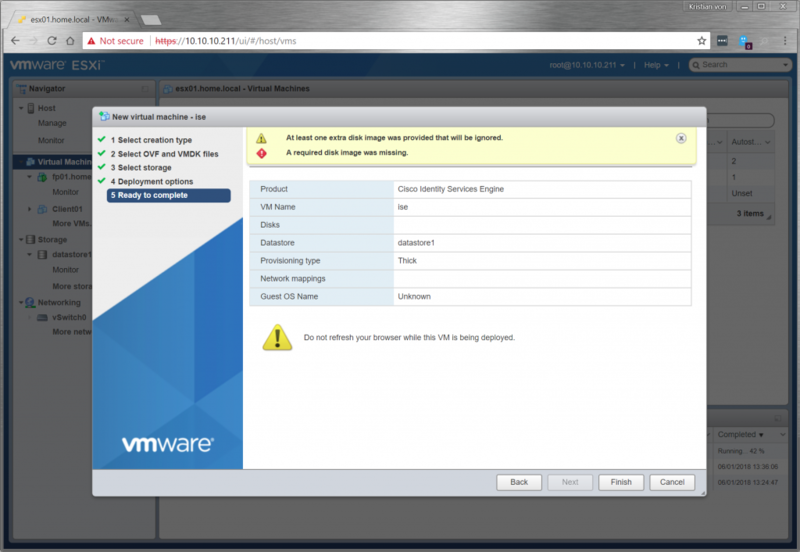 Deploying the ISE 2.4 VM directly onto an ESX through the VMware UI results in the following failures: “At least one Extra disk image was provided that will be ignored” and”A required disk image was missing”. This type of problems are seen with at wide range of different virtual appliances from different vendors. Luckily it is fairly easy to circumvent. 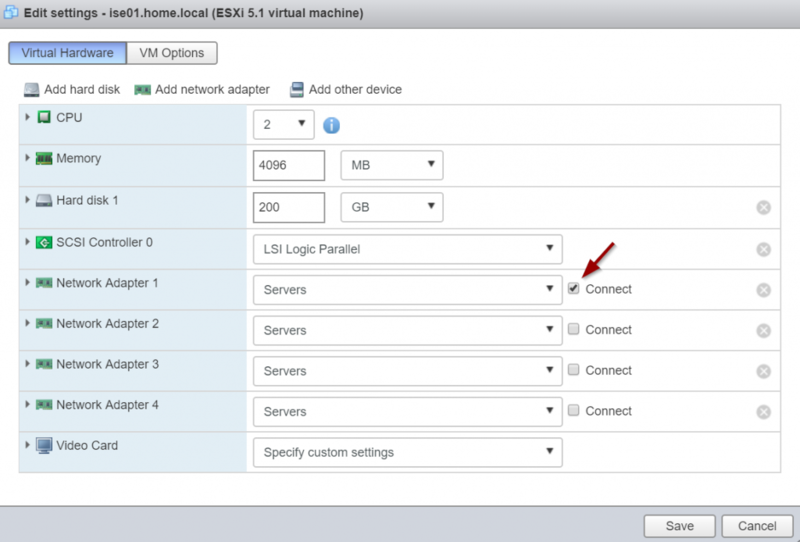 The trick is to utilize VMwares ovftool utility (downloadable from VMwares homepage), as this is capable of ‘scripting’ the necessary parameters. Accept SSL fingerprint (A0:2E:6A:CA:97:BF:85:FB:A0:73:4E:18:D0:C2:60:32:AF:72:C3:28) for host 10.10.10.211 as target type. It should then merry start uploading the image to the designated ESX host. You will probably also want to adjust the assigned ressources if your are running on an environment that is scarce on resources. Do give it a bit though as it will otherwise not perform very well. And dont forget to remove the reserverations as the Identity Service Engine will otherwise starve your system. It is usually the RAM which are in short supply on mini labs, so adjust these settings as needed. 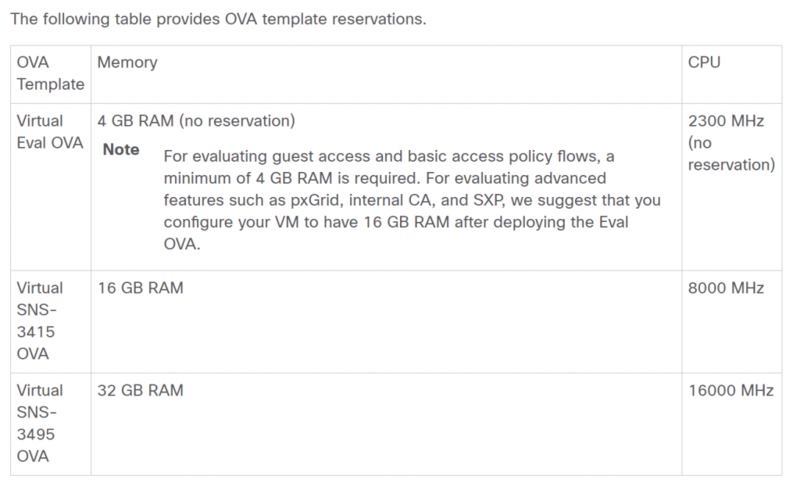 The deployment comes with 4 vNICs by default, however you only really need one. 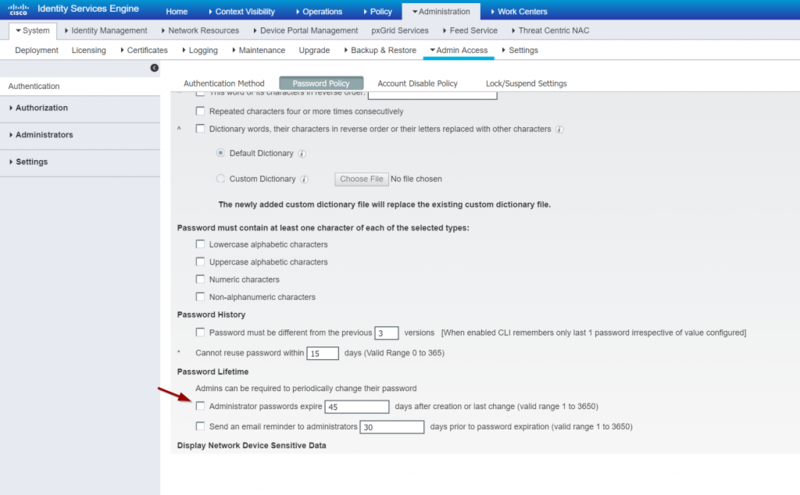 When you have gone through the initial CLI config steps and have it up and running, make sure to change the default password policy. The ISE install will provide an evaluation period of 90 days for learn and play. edit: Fun stuff.. just found another guy who had done a pretty similar post (before me). anyway check it out. 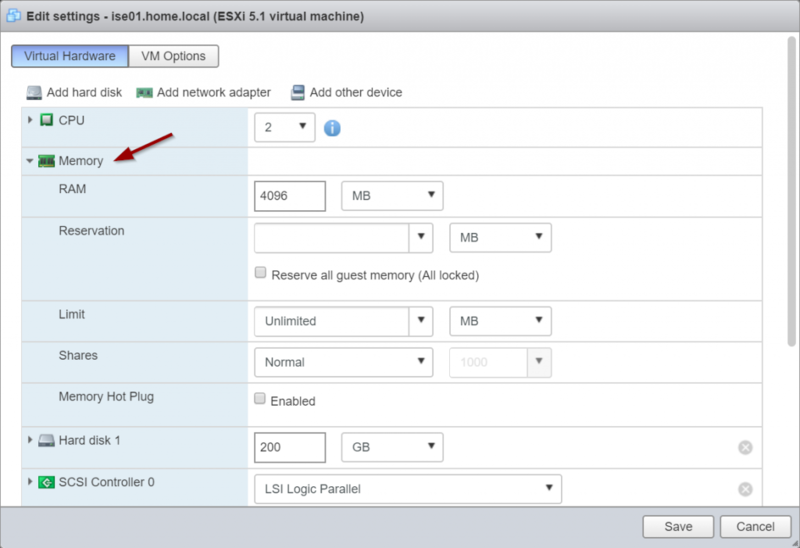 Be the first to comment on "Installing ISE 2.4 in the Homelab"